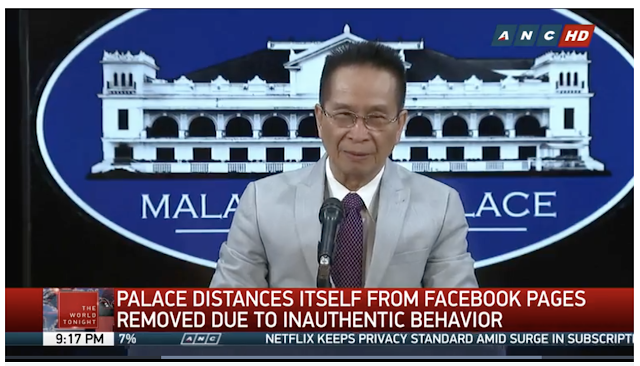 Malacañang claims President Rodrigo Duterte was unaware of hundreds of Facebook accounts that were take down last week by the social media giant for inauthentic behavior. Presidential spokesperson Salvador Panelo said no government funds were used to manage these accounts. The 200 Facebook pages in question were linked to a network organized by Nic Gabunada, who led the Duterte social media campaign in the 2016 presidential polls.